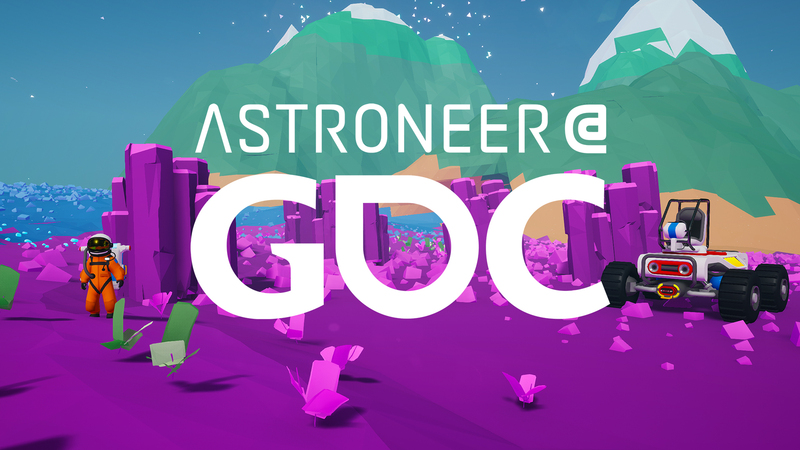 This year, Epic Games has graciously offered us a spot to show off Astroneer in the Epic Games booth! If you haven’t played the game yet or want to get in touch with us in person, stop by and hang out with us there! We will be showing off our most recent update, as well as discussing whats coming to Astroneer in the near future. If you are attending GDC, come find us at #801 in Moscone Center South! We might even bring some zebra ball pins. Read more about the other games in the space here! One of the more challenging scenarios a producer can encounter is joining a team with no prior production support. Successfully introducing production methodologies for the first time requires both caution and confidence, especially with teams that have self-organized in the past. By starting out with small, measurable improvements a producer can build a foundation of collaboration and trust with the team that can lead to larger, more formal changes. This talk will outline several actionable strategies that can be used in this situation by producers, as well as developers of other disciplines stepping into the role for the first time. Inspired by the perennial refrain from the West Wing’s President Bartlet, game audio asks “What’s Next?” Ten different stories from 10 different game audio professionals, from voice actors to audio directors to composers to VR hardware designers, all chiming in with 5 minutes and 20 second stories addressing the question, “What’s Next”? The microtalk panel format is a panel of 10 speakers, each speaking for exactly 5 min 20 seconds, with 20 slides auto-advancing every 18 seconds. Here are the speakers and their microtalk subjects. The barriers to game development have never been lower, but standing out in this crowded space has never been more difficult. Brendan Wilson, head of System Era Softworks, the studio behind Astroneer, talks about intentionally running towards, rather than away from, difficult challenges in game design, and how modern platform tools can help to focus resources on solving the problems that really matter. Join the IGDA Latinx in Games Special Interest Group as it discusses being a Latinx in the game industry, how to traverse current social/political climates, and how to provide better representation for Latinx in both the game industry and in games themselves.